by Billy Sheahan, from Sheila Connolly's Cruel Winter (County Cork #5), released last month. Maura’s been tellin’ yeh that it’s been near a year since she came to Leap and found herself runnin’ a pub she’d never heard of. I’m proud of the girl—she’s done her gran proud. I’ll take a bit of the credit meself. Yeh see, I knew her her family, years ago, here in this corner of Ireland. Her gran, Nora Donovan, was widowed young, and took herself and her young son to America, hopin’ fer a better life. It was the right thing to do, I thought, although it couldn’t have been easy fer her. Things went well, until her Tom died in an accident, leavin’ a wife and a small child—that would be Maura. And then the wife took herself off without a word and Nora never heard from her again. She was left to raise Maura and keep a roof over their heads, which she did. She did right by Maura. And she planned fer Maura’s future. 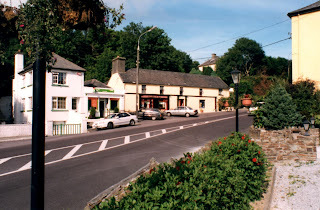 Old Mick, who’d owned the pub here as long as anyone could remember, was a cousin of sorts. He had no one to leave his property to, so he and Nora fixed it that Maura would get it all. Maura arrived a year ago because her gran had asked her to, and found she owned a pub. And a house as well. 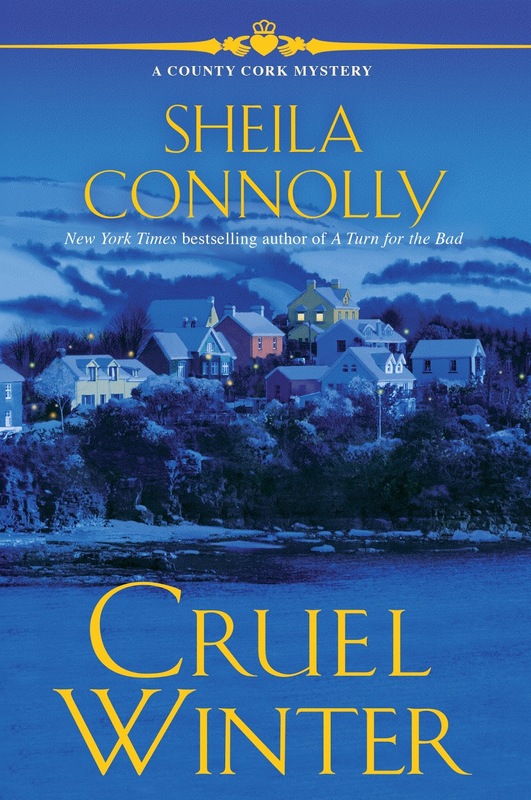 It was no sure thing that she’d stay, but she decided to try to make a go of runnin’ the place, even though she’d never seen Ireland in her life, nor had she run a business of any kind. But Maura’s smart—not in the book sense, but in understandin’ people and how things work. She’s done more than keep the place goin’—she’s brought in new business. She’s made friends. And she knows when to ask fer help if she needs it—that’s a rare thing. I hope I’ve been able to help her, and I’m pretty sure her gran is lookin’ out fer her. 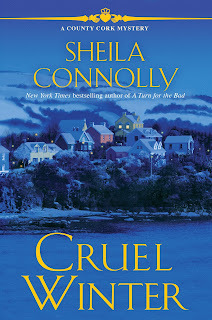 About Cruel Winter: Snow is a rarity in Maura Donovan's small village in County Cork, Ireland, so she wasn't sure what to expect when a major snowstorm rolled in around Sullivan's pub. But now she's stranded in a bar full of patrons--and a suspected killer in a long-ago murder. Maura’s been in Ireland less than a year and hasn't heard about the decades-old unsolved crime that took place nearby, let alone the infamous suspect, Diane Caldwell. But the locals have, and they're not happy to be trapped with her. Diane, meanwhile, seeks to set the record straight, asserting her innocence after all this time. And since no one is going anywhere in the storm, Maura encourages Diane to share her side of the story, which she’d never had a chance to do in court. Over the next few hours, the informal court in Sullivan’s reviews the facts and theories about the case--and comes to some surprising conclusions. But is it enough to convince the police to take a new look at an old case? Maura appears to be just what any business needs - a person who cares for the customer by treating them as if they are welcome. I thought Maura needed to make a stand, and Jimmy's kind of a slacker so he shouldn't have a say. I read this book yesterday and enjoyed catching up with the characters. I am looking forward to reading this book! I love the series! I stay away from those things.